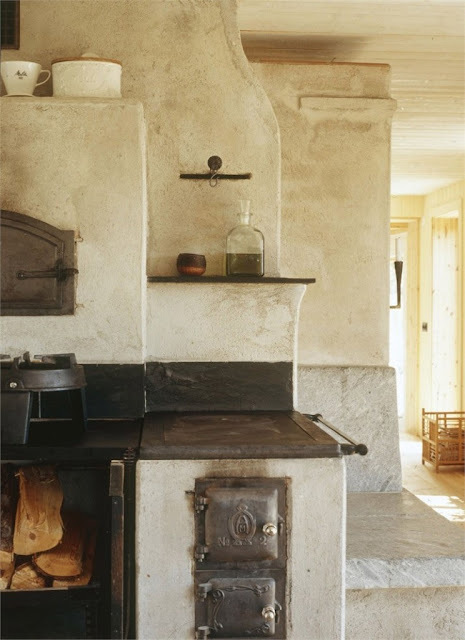 SPACE FOR INSPIRATION: Dreaming of a Swedish bakery..
Dreaming of a Swedish bakery..
Hello lovelies and happy new week to you all! 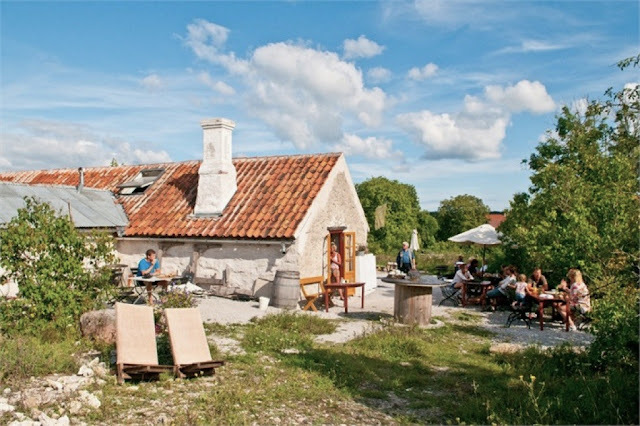 How about throwing all sense & caution to the wind and buying the quaint 'Rute Stenugn' bakery on the island of Gotland in Sweden..!?! 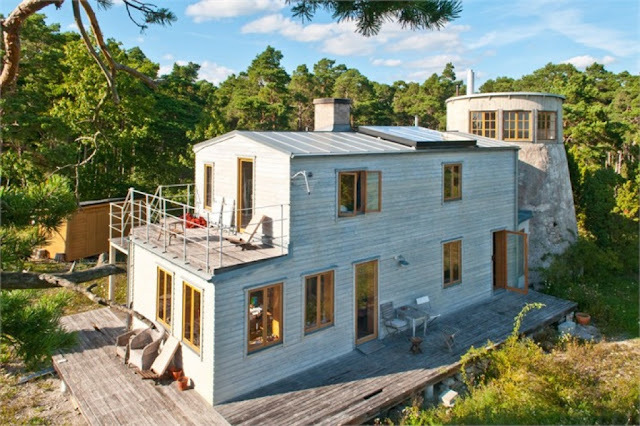 Yep, it's for sale folks and for a mere 3.8million Swedish krona you could be waking up to the smell of freshly baked organic bread, straight from the log fired oven. Aaaahh! 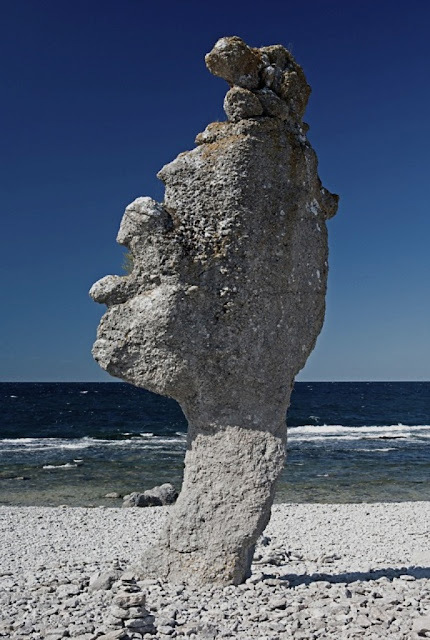 Gotland as you may know, is a unique island in the North Sea off the East coast of Sweden. 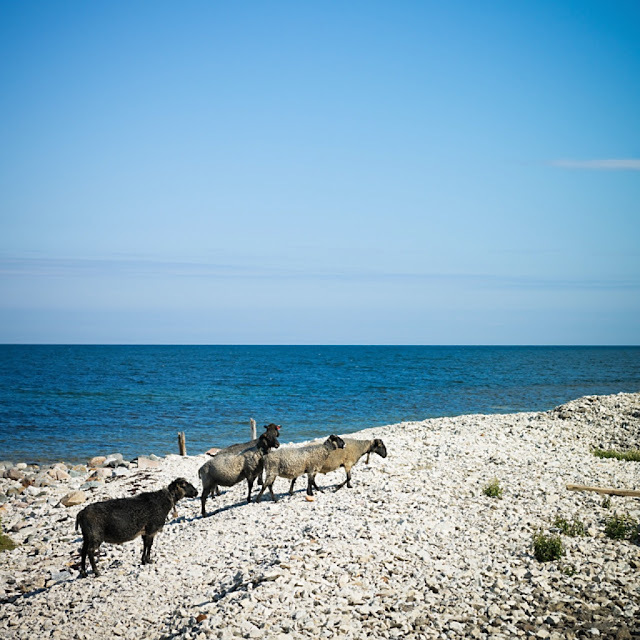 It's known for it's spectacular scenery, tangible heritage, local crafts, sheep (the famous Gotland sheep) and lots more. You simply have to go there if you get the chance! 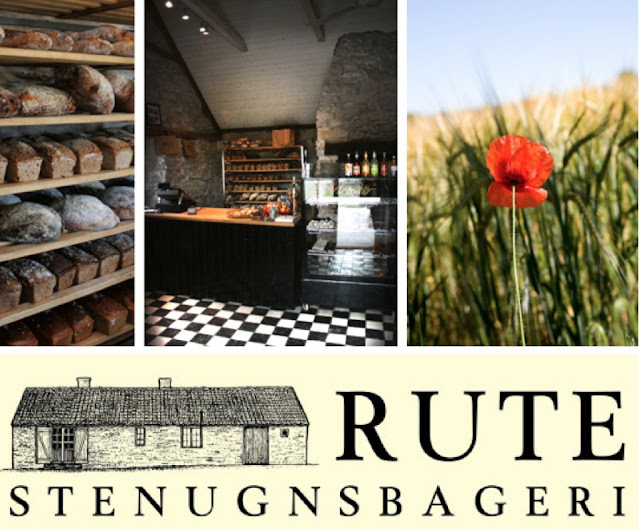 The Rute Stenugn bakery includes a fully equipped cafe (originally an old black smith's cottage..), and a lovely greenhouse that has been converted to a dining area. 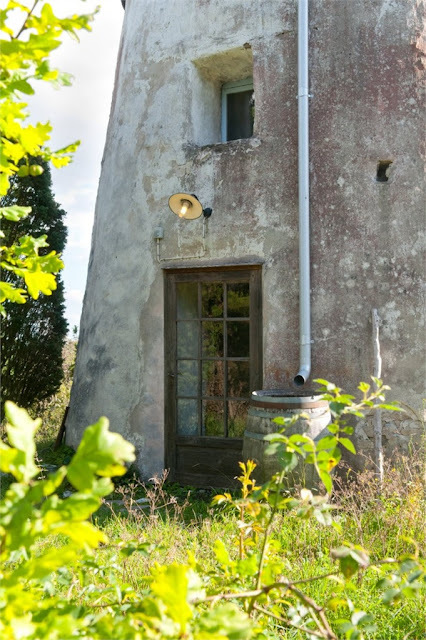 Perched on a hill near by is a comfy residence which was merged with an old three story mill.. I can imagine the owners of the bakery would have lived here quite happily. 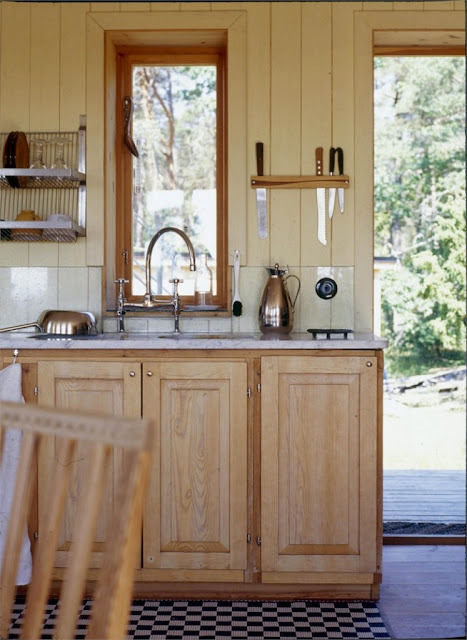 Look HERE for details on the property and HERE for more inspiration and pictures. This place has so much potential, don't you think..!?! Thank you so much for the lovely comments, so pleased everything has worked out for you....all the way over there now!! This place is fabulous, I'd love to visit this bakery, if I close my eyes I can smell the hot bread, hummmm! Heh Charlotta - a change of life and a new country AND a new business all in one step - hmmm - sounds like a bit of a romantic dream doesn't it. The only problem would be that, as I am a BIG lover of fresh bread, I doubt it would make it to the shelves in time for the customers - I would eat it ALL. I think this would be the perfect existence! 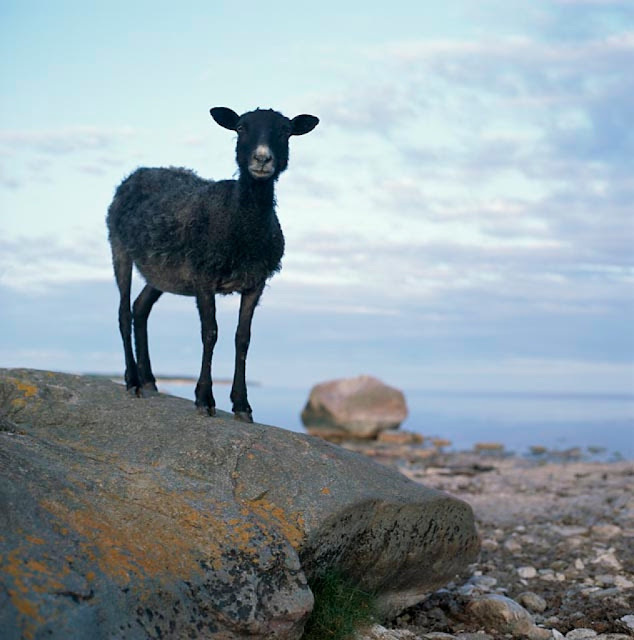 I have travelled all over, but never been to Gotland. Have heard people praising how wonderful, charming and lovely it is. Et stort velkommen hjem til Skandinavia og til ditt hjemland Sverige! Det må være en stor omveltning for deg, men jeg kan lese at du er så glad, så glad. Atter en gang velkommen Charlotta - jeg gleder meg til å følge dine opplevelser i Sverige. Hi Charlotta! 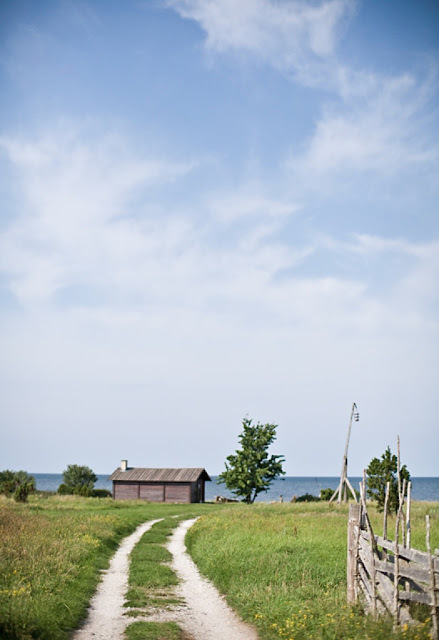 How are you doing there in that beautiful country Sweden!! 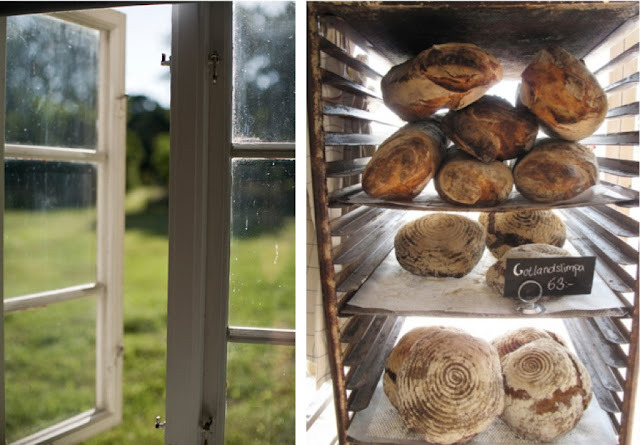 What a wonderful bakery here and in a gorgeous invironment! så skønne billeder. Det er en fryd at se. Hav en dejlig aften! p.s the older home is beautiful! Just beautiful! 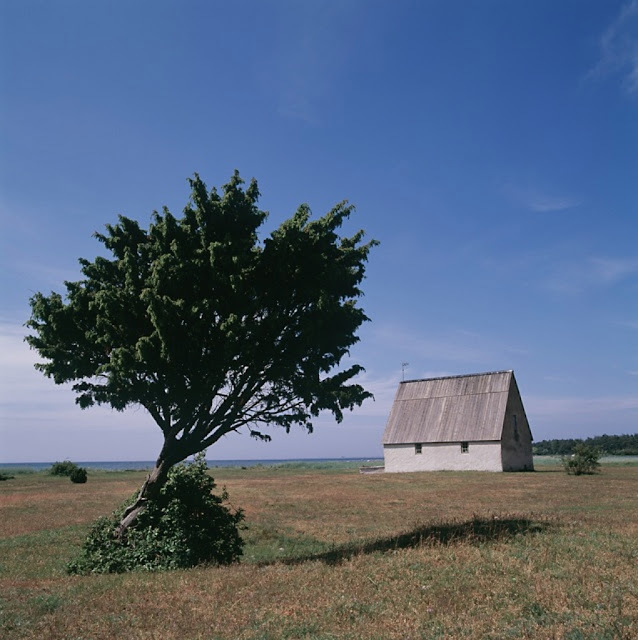 Virginia - Yes it would be such a wonderful life. To make bread and to see people enjoy it.. mmmm..! Lene - tusen tack för din fina kommentar. Ja det är underbart att vara hemma igen. Jag njuter ända in i själen. KRAM! Alena - Isn't it just heaven!?! Hong Kong Property - It's so awesome and so unique to the area. Would be a wonderful investment. Have a wonderful Autumn (Spring for the Southern Hemisphere) all!